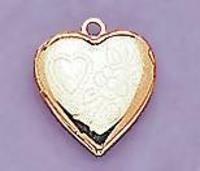 Heart Locket Charm in Gold. Locket really opens! You can put picture inside.